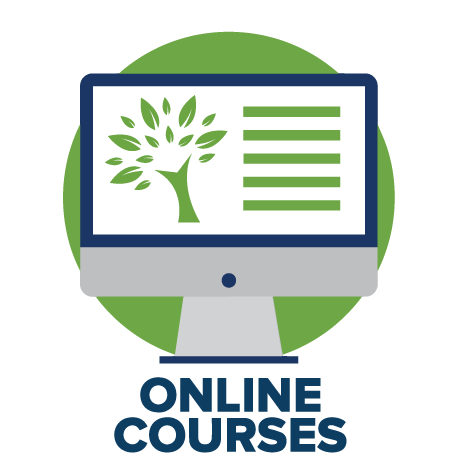 If you wish to view and search a full listing of our online learning offerings, please check out the online learning catalog. Parks are an integral part of city infrastructure. This session explains six strategies that are relevant to positioning parks for improving health and wellness while securing influential champions. This “Lessons from the Legends” session illustrates the contributions of many women in parks and recreation fields, through a discussion with Legends and a video montage of many contributions. 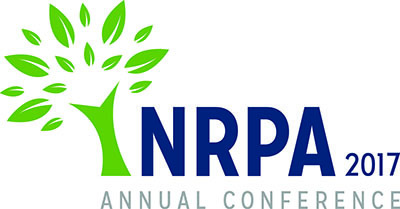 Three speed sessions streamed from the 2018 NRPA Annual Conference: Parks and Recreation: The New Status Symbol; WE GOT ENGAGED! Tips for Communicating Effectively with your Part-Time Workforce; and If You Don't Feed the Supervisors, They Eat the Staff. This product contains the speed sessions that were streamed and recorded from the NRPA 2018 Annual Conference. Advocating for parks and recreation should be integrated into everything that the park and recreation professional does. This bundle includes sessions curated from the NRPA 2018 Annual Conference on the topic of design and maintenance. A Value Proposition: What's My Park Worth? Once community leaders identify the need for a new recreation center, how do they get voter support? This session reveals it’s not such a mystery, and there are indeed proven strategies behind successful public outreach programs. Through a series of recent case studies, this session outlines the key steps community leaders must take to gain support for a bond issue on a ballot measure in order to fund a new community recreation center. The wind and the sun decided to have a competition to decide who was stronger. They agreed the winner would be the one who could persuade a man to take off his coat. The wind blew and blew, but the man held on tightly to his coat. Then the sun shone gently down, within minutes, the man took off his coat. The moral: you can’t force someone to do what they don’t want; instead, the art of influence and persuasion will get them to want what you want. This is the essence of true leadership. 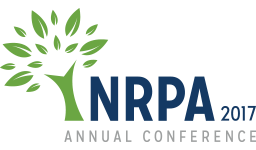 This is as bundle of 4 sessions recorded from the NRPA 2017 Annual Conference on the topic of "advocacy." Included in this package are the following sessions: How to Handle a Parks & Recreation PR Communications Crisis, VOTE! How to Plan a Successful Bond Program, A Value Proposition: What's My Park Worth?, and Using Health Data to Power Results. 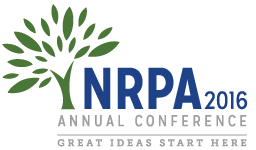 This is as bundle of 4 sessions recorded from the NRPA 2017 Annual Conference on the topic of "Innovation." Included in this package are the following sessions: Innovation. Speed Sessions from the NRPA 2017 Conference, Leading Change: Innovation from the Inside Out, The Be Attitudes of Influence and Persuasion, and Ditch Your Marketing Plan: Growth Hack Instead. In the mighty age of data, using health data can be a powerful tool to fuel your funding requests, report program results, and demonstrate how your facilities and programs play a vital role in the health of the community. In this session, you will be introduced to how and where to mine data sources to leverage support of your programs. ​This bundle includes four 2016 sessions that covered a range of programming topics at the NRPA annual conference. The fast-paced session will provide examples of how to engage youth while raising awareness about environmental stewardship. Participants will leave the session with a set of principles and strategies and examples of how to advocate for and encourage the development of front-country and an urban outdoor ethic. ​This bundle includes four 2016 sessions that covered a range of advocacy topics at the NRPA annual conference. We will examine long-term trends and how a community can add value by making sure the park responds to those trends, focusing on the seven elements of a complete park system. This session will view the park system as a dynamic ecosystem - one that must evolve and requires care and feeding to ensure it is a vital and valued part of keeping a community healthy. ​This bundle includes four 2016 sessions that covered a range of special topics at the NRPA annual conference. This panel discussion explores the nationwide crisis of homelessness. Every city struggles with generating effective solutions to the problem of homelessness, and it's not easy. However, there have been successes, driven by policies, programs, and designs. Often, the stories around this topic are based on impressions, not statistics. ​This bundle includes a track of sessions recorded from the 2016 NRPA conference on topics related to leadership in parks and recreation. Ensure that your team is really measuring what matters, see the tools that make it easier and less expensive than you imagined, and learn how to avoid the pitfalls that come when you mix people and measurement. This session will show you how to cultivate a positive relationship with those that are ultimately responsible. Navigating the waters of political storms can be the difference between those that are successful and those that are not. Joliet Park District Director of Planning and Parks,Larry Burich, and George K. Baum & Company's Senior Vice President, Paul Hanley, will discuss a four-phase public outreach strategy that resulted in 70% voter approval of funding for a new recreation center in an underserved area of Joliet, a new indoor training facility and improvements to more than 20 parks district-wide. This is an interactive and engaging learning experience with a focus on specific tools that provide a common foundation for our work to advance racial equity. In this course, we will address the need for nature experiences for young children, describe early childhood environmental education and offer strategies to incorporate more nature into programs for young children. When people have the resources to safely walk to parks, every trip taken by foot is an opportunity to engage in physical activity. You will understand the obstacles limiting walkability to parks and learn about the essential elements of a safe route to a park. 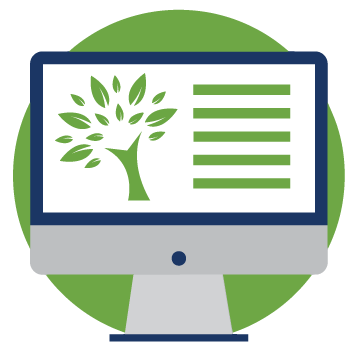 How do you determine whether a completed program produced desired outcomes? This course will describe ways to assess the effectiveness of community policy, systems, and environmental change.